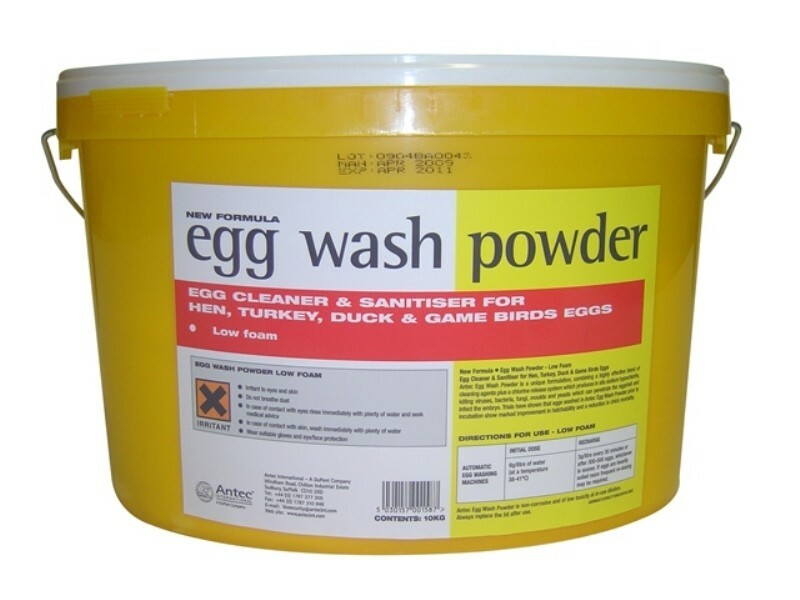 A practical cleaning product for washing eggs that have become dirtied or feathered inside a coop. Washing eggs with cold water will remove protective bacteria from the eggshell, thus leaving it more susceptible to harmful bacteria passing inside the egg. DuPont Egg Wash Powder is formulated to provide gentle foam cleaning to poultry eggs, without damaging the eggshell or replacing harmful bacteria. The Low Foam formula is for automatic/spray type egg washers. High Foam is for manual and rotary action egg washers. 35g per 5 litres of water will produce a solution containing a minimum of 250ppm available chlorine. Maintain temperature between 38-41oC. The recharge rate is dependant on the number of eggs and degree of soiling encountered. There are currently no questions for DuPont Egg Wash Powder - be the first to ask one!